Winner of Gold at the Great Taste Awards. 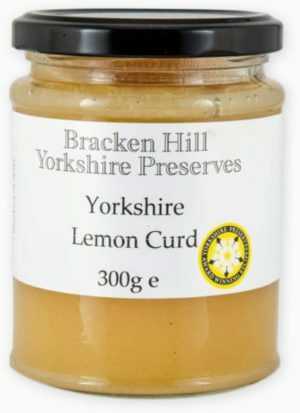 This traditional lemon curd is a real favourite with our regular customers. The best jams and curds I have ever tasted! Love the ‘different’ flavours and no junk in them! Delicious! Sugar 47%, Lemon Juice 22% (From Concentrate), Pasteurised EGGS 19%, Butter 11% (MILK), Gelling Agent: Fruit Pectin, Citric Acid, Lemon Oil.